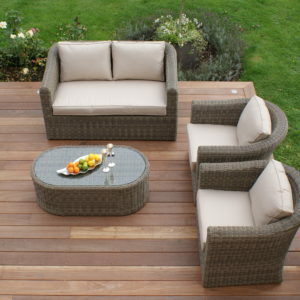 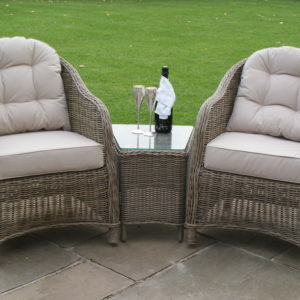 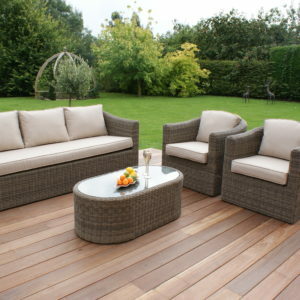 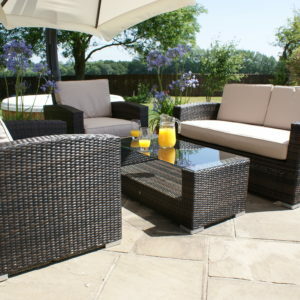 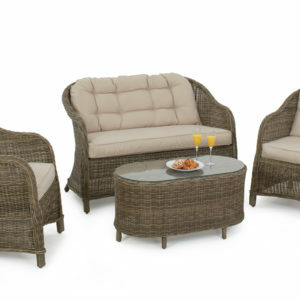 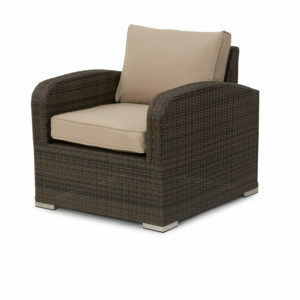 Browse our selection of rattan sofa sets in a range of different weaves, styles and colours. 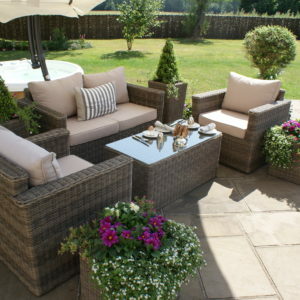 All of our sets come complete as you see them, and are perfect to compliment other items in our ranges. 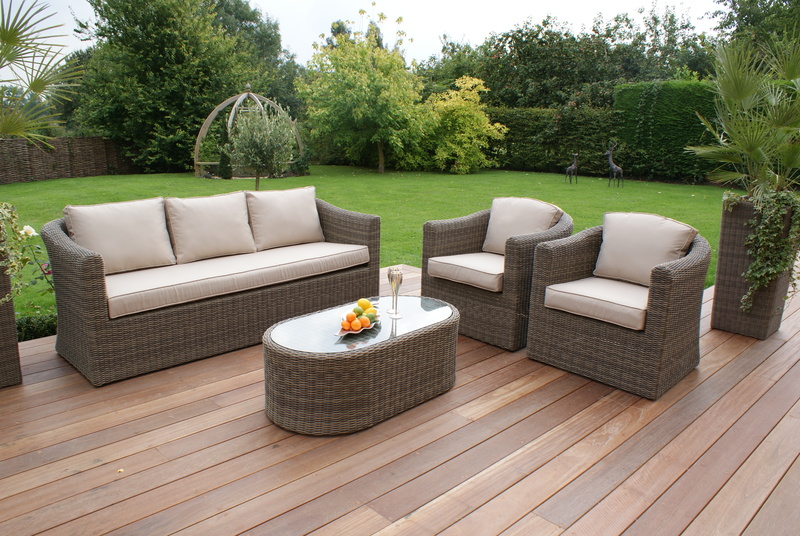 As with all of our premium quality furniture, the polyrattan is handwoven onto an aluminium frame which creates the ultimate in beautiful garden furniture which is weather and UV resistant, lighter, stronger and more hardwearing than traditional rattan.